Chicago: State of Illinois Governor Bruce Rauner proclaimed April 14, 2018 as “Sikh American Heritage Day” in Illinois. Representing the Governor the Illinois Lieutenant Governor Evelyn Sanguinetti came to address the congregation, and present the proclamation to the community at the Sikh Religious Society Palatine Gurdwara congregation hall in a suburb of Chicago. The proclamation enumerated and honored the achievements, services, and contributions of Sikhs in America. Lt Governor Sanguinetti presented the proclamation document to the Trustees of the Sikh Religious Society. The society president Dr. Pardeep Singh Gill thanked the Lt. Governor for coming in person to present the proclamation. The Lt. Governor was welcomed by the Sikh Sunday school children with flower bouquets. Sanguinetti also toured the Langar hall and kitchen and watched flat round bread (Roti) being freshly baked. Rajinder Singh Mago coordinated the Governor’s office and the Proclamation event at Gurdwara in Palatine. 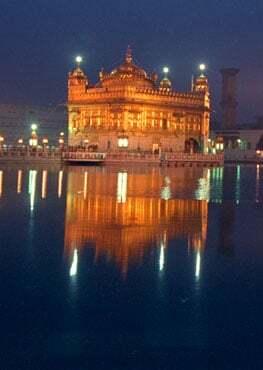 April 14 is Vaisakhi day which is a cultural festival in Punjab, India, but it is also significantly historic, and transformational event in the Sikh world. This day in 1699 in Anandpur Sahib Punjab, near Chandigarh, the tenth Sikh Guru Gobind Singh changed the course of human history and civilization in that part of the world. He created the order of Khalsa and prescribed the Sikh way of life eliminating caste system and gender discrimination, adding to the follower’s external appearance the five articles of faith including unshorn hair and Kirpaan, building self esteem and valor in the common people oppressed by tyrannical rulers. The first five Khalsa (Panj Pyaare) known as Five Beloved Ones were initiated on this day. Each of them were of a different cast and came from different corners of India. Later the Guru bowed before the five initiates and asked them to initiate him, thus the Sikh initiation ceremony (Amrit Chhakna) got started. The Vaisakhi of 1699 brought into sharp focus, a universal concern for human and sacred rights of all people; That safeguarding human dignity, freedom of religion, and the right to worship, and ensuring that all God’s children are equal and deserve to receive God’s blessings; That it is just and honorable to take a stand against tyranny and oppression wherever it may be happening; And an inalienable right that Khalsa must engage in just struggle, righteous defiance and supreme sacrifices to attain these rights as a way to serve and honor the highest ideals set for the Sikhs by the tenth Sikh Guru Gobind Singh (1666-1708). More than 1000 people attended the celebrartions. Sikhs Americans are an immigrant community from Northwestern State of Punjab in India. 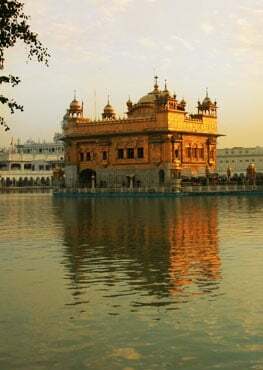 About 550 years old, Sikhism is the fifth largest religion in the world with about 25 to 30 million followers worldwide.